Ferndale’s veteran Barrie Jones (21-10, 8KO) reclaimed his old Welsh Area light-middleweight title with a third round stoppage of Newport’s Jerome ‘The Comeback Kid’ Samuels (5-6, 1KO). 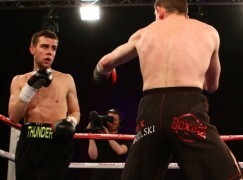 The scheduled ten rounder at the Newport Centre was expected to go the distance but Jones needed less than nine minutes to become a two-time Welsh Area champion. 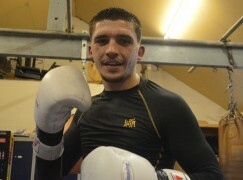 Jones, who challenged for the British welterweight title in 2010, made his first mark after barely 20 seconds as he caught Samuels high on the side of the head with a right hook. A stunned Samuels slumped to his knees but referee Reece Carter didn’t commence with a count, which could have been costly to Jones if the bout went to the scorecards. Still, Jones hadn’t noticed and waded in to Samuels who bravely managed the balance of surviving and replying to hold his ground, resulting in wild exchanges for the rest of the first round. The second round started at a slower pace, allowing both boxers the opportunity to sit down on their punches and power up, ensuring that the intensity remained. 21-year-old Samuels, perhaps through inexperience, was guilty of ignoring his advantages of reach and height. Instead, the reigning champion circled to his right, opening an angle for Jones to score with his southpaw backhand. Samuels, still game beyond his years by this point, had been fast tracked to championship level in just ten fights. However, he was learning lessons that may have missed along the way against a veteran of 31 outings, who has fought former and future world champions. Jones landed a classy left hook and right uppercut combination in the third round that badly hurt Samuels and he wasn’t given a second to breathe or recover, visiting the floor twice. When Samuels bravely stood up, he was soon trapped on the ropes where referee Reece Carter was forced to end the fight after two minutes and 28 seconds of the third round. It was Samuels’ first fight since he won the belt by a single point margin against Dai Jones in March 2014 and he appeared to be suffering from ring rust from the first bell. 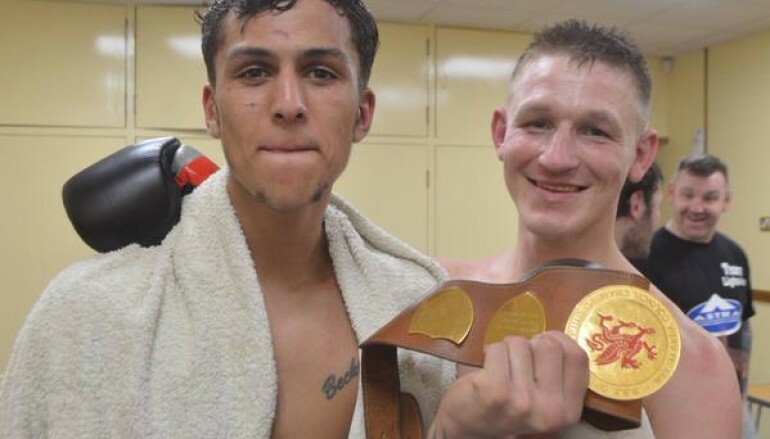 After turning professional under the training of former British champion Steve Sammy Sims and losing five fights, the 21-year-old joined Richie Garner and won his next five outings but their relationship has since ended and Samuels rejoined Sims. In the other corner, 30-year-old Jones re-won the Welsh Area title in just his second fight in three years and still has enough time to remount a move towards a British title opportunity if guided correctly through a relatively shallow domestic light-middleweight division.